I took this right before I walked into the Parisian catacombs. 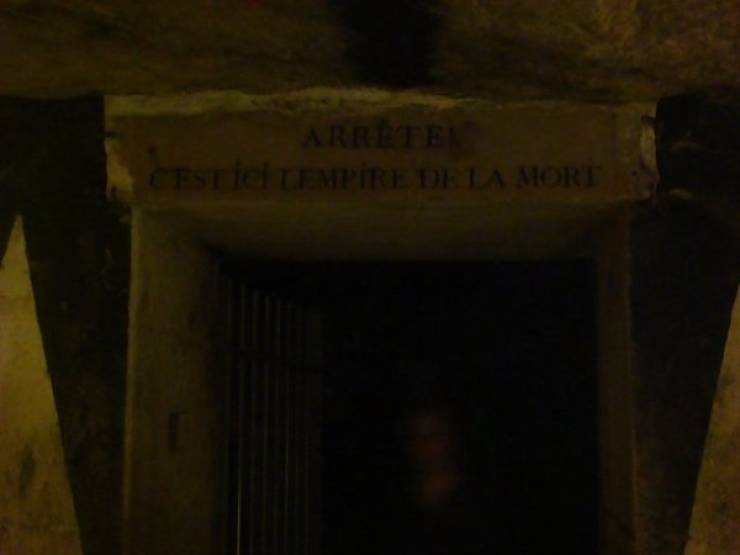 The entrance says “STOP, THIS HERE LIES THE EMPIRE OF THE DEAD”. Edit: Also just wanted to say there was no one there when I took the picture, and it was a digital camera.